I tend to read what’s often described as literary rather than commercial fiction – I’d be hard pressed to tell you what the difference is although I know it when I see it – but, for me, David Nicolls is king of the commercial fiction castle which is why Us is top of my May paperback list. I’m sure Nicholls must have felt under pressure after the phenomenally successful One Day but he seems to have risen to the challenge with a novel which explores how a long marriage survives. Douglas is a little discombobulated when Connie announces she’s leaving him, insisting that they take his long-planned European Grand Tour in the hope that it will keep them together. I do hope that Hollywood will keep its mitts of this one. The title of Michel Guenassia’s The Incorrigible Optimists Club is enough to make me want to read it but I like the sound of the structure, too. Set in Paris in 1959, it follows twelve-year-old Michel as he eavesdrops on a group of Eastern European men who play chess and tell their stories of life before they came to France. I’ve been warned that it’s a bit of a door-stopper but it sounds right up my alley. Robin Black’s Life Drawing is one of the two books in this round-up I’ve reviewed. There’s a nice little edge of suspense running through this story about an artist and her writer husband, not least because we know right from the start that he has died and that his death wasn’t a natural one. Taut and claustrophobic, it reminded me a little of Joanna Briscoe’s Sleep with Me. The other is Favel Parrett’s When the Night Comes which I rated enough to include in both my books of last year and my wish list for the Baileys Women’s Fiction Prize. Based on a true story – the sinking of the Nella Dan – it’s about the deep bond that forms between a young Tasmanian girl and the Danish sailor who lodges with them in between supply trips to the Antarctic aboard the Nella Dan. It’s an absorbing story but what struck me about the book was the beauty of Parett’s writing. Gorgeous descriptive prose. 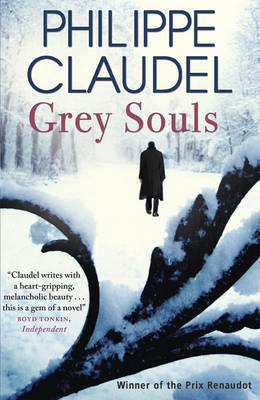 Finally, Philippe Claudel’s debut Grey Souls is being reissued and if you missed it the first time around please do keep your eyes peeled for it. Three mysterious deaths in an isolated French village during the First World War still haunt the local policeman twenty years later: the new schoolmistress killed herself; a ten-year-old girl was found strangled; and the policeman’s wife died alone in labour while her husband was hunting the girl’s murderer. Claudel’s prose has a lovely, elegant expressiveness to it, trimmed of the flourishes and curlicues that some writers indulge in. He’s a very fine film maker, too. That’s it for May paperbacks a click on a title will take you to Waterstones website for a more detailed synopsis of anything I haven’t reviewed and if you’d like to catch up with my hardback choices they’re here. 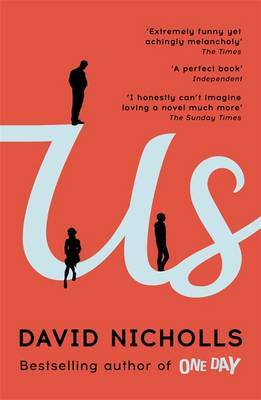 This entry was posted in News, Reviews and tagged David Nicholls, Favel Parrett, Grey Souls, Jean-Michel Guenassia, Joanna Briscoe, Life Drawing, One Day, Paperbacks published in May 2015, Philppe Claudel, Robin Black, Sleep With Me, The Incorrigible Optimists Club, Us, When the Night Comes In on 27 April 2015 by Susan Osborne. Thanks, Helen. That’s very reassuring. I’ll definitely buy it now! I’ve succumbed to the door-stopper Incorrigible Optimists Club – but not started yet. I find I already own Grey Souls, so will dig that out definitely. Ooh Grey Souls looks just like a book I need! Thanks for a fantastic round-up! You’re welcome, Cleo, and if I’ve made one convert to Claudel’s writing then I’m happy blogger! I loved Us and found the characterisation was excellent. It’s one of my favourite books of 2015 so far. Thanks for that, Helen. I shall look forward to reading it with confidence now!